The first time I let a professional color my hair, a couple years later, I found myself in one of those old school plastic caps getting my entire head of brown hair “frosted” because I didn’t know any better. The moral of the story? Don’t rush into a color change without at least some idea of what to expect. Whether it’s your first time or you’re a hair dye habitué who just wants to know the difference between a gloss and a single process, here’s everything you need to brush up on your color smarts, straight from two of the top colorists in NYC. How do I know which color will look good on me? As a rule of thumb, “Light skinned, light eyed girls will look more natural with lighter shades, while dark skin and dark eyes work better with darker shades,” says White. Of course, there are plenty of exceptions (see: J.Lo; Zooey Deschanel). I’m not sure what color I want...or if I even want to color my hair at all. Not sure whether to go darker or lighter? Both colorists agree that you should look to your baby pictures for inspiration. “The color you were as a child is usually the best look for now,” says White. “After puberty our hair color starts to get dull and lackluster, until we go gray.” So go dig up some #TBT photos, stat. What’s the deal with cool/warm tones? “If you have a lot of pink in your skin, you should avoid having warmth in your color. It will make you look flushed in the same way that wearing a red shirt would. You should opt for cool tones like sandy blondes and coffee browns,” he says. If you’re still not sure, a pro can help steer you in the right direction. But if you do have a specific shade in mind, bring a photo as a starting point — not a thesaurus. Your idea of “strawberry” might be different than your colorist's. Should I go lighter for spring and darker for fall? “The exact opposite is true in the winter, when we're not spending as much time outside and the earth is further from the sun and casts a blue light. That's when you want warmth and depth in your color to replace that summer glow we no longer have naturally,” he explains. Let’s do this! I want to go lighter. Trading the bleach for a gentler color lift is a less drastic route. “Another double process is to lighten the whole thing a little, and then put highlights in it,” Johns explains. “Let’s pretend your hair is dark brown, and you want it to be lighter. I would lighten from dark brown to a light brown, and then put highlights where the cut calls for them.” This is what celebrities and people with really gorgeous hair color do, but like the Marilyn-style double process, it can get expensive and requires upkeep. But wait, you have an easier option. “A third way to go lighter is to put a set of highlights in the natural color, which a lot of people are doing lately, because they don’t want the roots at the hairline.” The effect can be anything from two-toned ombré to subtle sun-kissed pieces, and your color will look good even as it grows out. I want to go darker. You probably want a single process, which involves one application of color. A good colorist won’t just coat your entire head, but will adjust the technique or processing time to add dimension. Sometimes that means leaving color on the roots for a longer amount of time to mimic hair’s natural tendency to be ever so slightly lighter on the ends. I want to hide my grays. Instead of covering up grays by making them darker, which will change the color of your base and require root touch-ups, camouflage them with highlights, advises Johns. “Let’s pretend your hair is dark brown, and you’re getting grays. If you do a really pretty, subtle set of light brown highlights, you won’t see those grays, your hair will be a little brighter, and you can do that twice a year” without needing more frequent maintenance. I want to go red. Depending on your hair’s current color, going red will probably require a double process. Red is also the quickest color to wash out — expect to need frequent touch-ups. I’m afraid coloring my hair will damage it. If your hair is light brown (meaning you were blonde as a child), you might be able to DIY with decent results, according to Johns, who says light brown hair is easier to color. But going the box color route can be unpredictable, which might end up costing you more time and money in the end. “If you use a box color and it doesn’t turn out right, you don’t go back to the scene of the crime. You go back to the colorist and expect to pay double for corrective,” Johns says. Should I wash my hair before my color appointment? Should I get my hair cut before or after color? Usually, after — unless you’re making a major change like getting bangs or chopping off 10 inches. “This is why cut and color should be in the same salon, so [your] stylist and colorist can get a plan together,” says White. How much maintenance am I signing up for? First and foremost, you’ll have to switch your shampoo and conditioner. 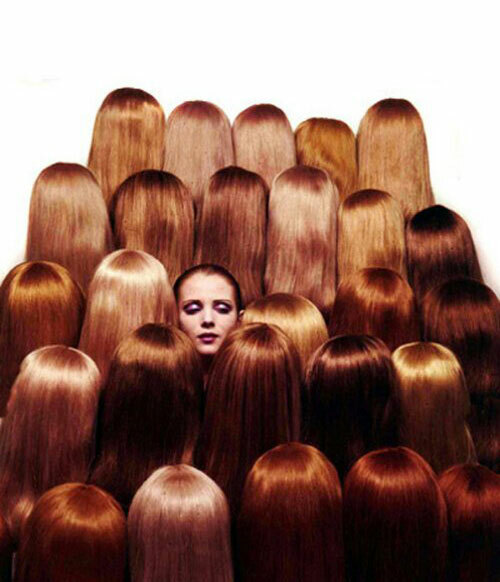 But don’t just grab any bottle marked “color-safe” — get a specific product recommendation from your colorist. Different dye jobs require different types of care, says Johns, who insists that it only takes one bad shampoo to ruin your color. Your particular shade and process will determine your touchup schedule, too. A double process or hair that’s been bleached at the root will start to show regrowth in as little as two weeks (not that darker roots are necessarily a bad thing; Beyoncé definitely pulls them off). Ombré-style highlights that start farther down from the roots can be much more forgiving and can let you go months between touchups. A gloss or glaze will fade gradually — the timeframe depends on shampoo frequency and other factors — but won’t leave you with two-toned hair. Also, mind the minutes you spend in the sun. UV rays damage hair color just like they damage your skin. White says that 50 hours in the sun is basically the equivalent of 30 minutes of bleach on your hair — so if you’re headed on vacation, pack a hat (or fabulous headscarf).